STATEWIDE — A Letter to the Editor published in The Log’s July 31 issue brought up an interesting situation of where another brokerage apparently featured a yacht for sale without the knowledge of the original broker. Capt. Michael O’Connor, president and broker of record for Mariner’s Yacht and Ship Brokerage in Dana Point, said in his letter he discovered one of his yacht listings listed elsewhere without his knowledge or permission. A yacht listing cannot be bought and sold on the open market like a commodity. How brokerages deal with listing services such as Yacht World’s Private Label Search (PLS), for example, does raise some questions, however. Does a listing on PLS give a seller more exposure, hence greater opportunity to sell his or her yacht? Conversely, will a yacht listed on multiple locations ultimately mean a lesser commission for the original broker? PLS is similar to Multiple Listing Service for real estate agents, a broker from Ardell explained. 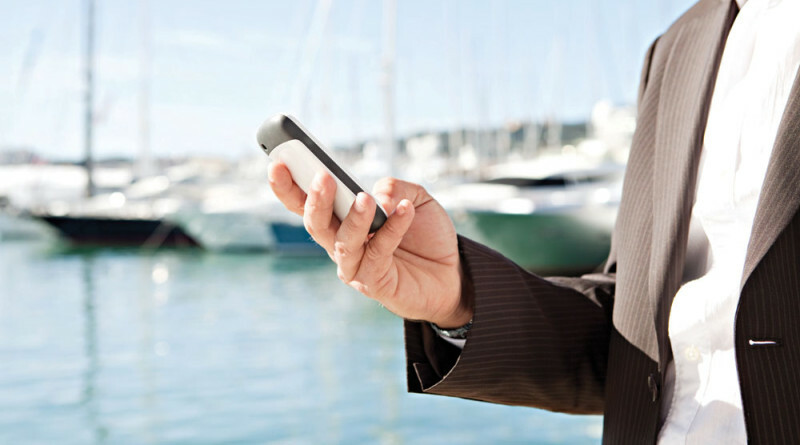 Brokers can use PLS as a search engine to find yachts for sale. The listings on PLS are of everyone who subscribes to Yacht World. Cal Boating cannot regulate the use of PLS if the broker linking or referring to the PLS listing properly discloses information about the original brokerage. Some brokers, however, might not want their listing advertised on PLS, Dennis Moran, a broker with Ardell, said. Brokers who do not want one or more of their listings on PLS can contact Yacht World and opt out, he explained. Listing a yacht through a brokerage and another location, such as PLS, could increase a yacht’s exposure and ultimately benefit the seller. Brokerages, on the other hand, might want to be the main – and only – point of contact. However, can or should a broker unilaterally decide not to have a listing posted or shared in as many locations as possible? Or should a broker consult with the seller before deciding whether a listing should be broadcast to as many people as possible? The question comes down to whether a seller and broker should seek all the help they can find versus a broker or brokerage being the direct or exclusive contact of the listing, catching the entire windfall of a sale. O’Connor said paying to view yacht listings adversely impacts brokerages. The Dana Point-based broker acknowledged it is common for brokers to enter into cooperative agreements, where two brokers agree to join forces in a yacht sale and split the commission. Brokers could incorporate a disclaimer to any agreement they enter into with agents, buyers or sellers. His letter also recognized opening the listings up to a larger audience probably made it easier for brokers, buyers and sellers to connect, particularly when someone was in the market for a specific boat or if an agent struggled to move a boat because of limited exposure. “I’m sure this was an idea that was conceived with service to the consumer in mind at the beginning. With evolution and manipulation it has become what I believe is the single most destructive force in our industry to date,” O’Connor wrote in his letter. Still, O’Connor worried many brokers are unaware of PLS or the opportunity to opt out of the service. A Division of Boating and Waterways (Cal Boating) policy does prohibit any broker or salesperson from legally advertising or selling boats physically located within the state of California without a license. California Harbors and Navigation Code 716(a) states only licensed brokers with permission of vessel’s owner or agent can engage in a transaction to sell a yacht. O’Connor did not believe the state was doing enough to enforce laws. Maritime attorney David Weil added a third party cannot purchase a listing contract, whether or not the original listing broker is aware of the practice. He said a mix of contract law and state regulation governs the business relationship between a California broker and in-state boat seller. Weil added a listing is a contractual agreement between broker and the party selling a boat. The seller agrees to compensate the broker for marketing and selling the boat. “Under an open listing agreement the boat owner is free to sign up as many brokers as he or she wants, whereas an exclusive agreement, as the name implies, limits the boat owner to that broker until the agreement (typically at least six months in duration – sometimes longer) expires or until the broker voluntarily releases the customer from the agreement,” Weil said. Whether an agreement is exclusive or open does not change the fact, however, a broker listing cannot be sold to a new broker without consent. “A broker cannot ‘sell’ or ‘purchase’ a listing agreement because the new broker would not have the signature of the boat owner authorizing the new broker to market the boat,” Weil said. Katy Judge, a brand manager for Yacht World, confirmed the database company offers a “multiple listing service” exclusively to all its member brokers as part of their membership plans and at no extra charge. Accordingly, yacht listings can be viewed by other brokerages unless the original brokerage opts out.